Nearing the anniversary of what would have been Gat Apolinario Mabini’s 150th birthday, Patrick So, writes an essay on this icon of the differently abled. Patrick is a fresh graduate of the Ateneo de Manila University with a degree in BS Life Sciences. He is currently training with GOALS, an occupational intervention center located in Bonifacio Global City and is a budding freelance writer. Patrick lives autism. 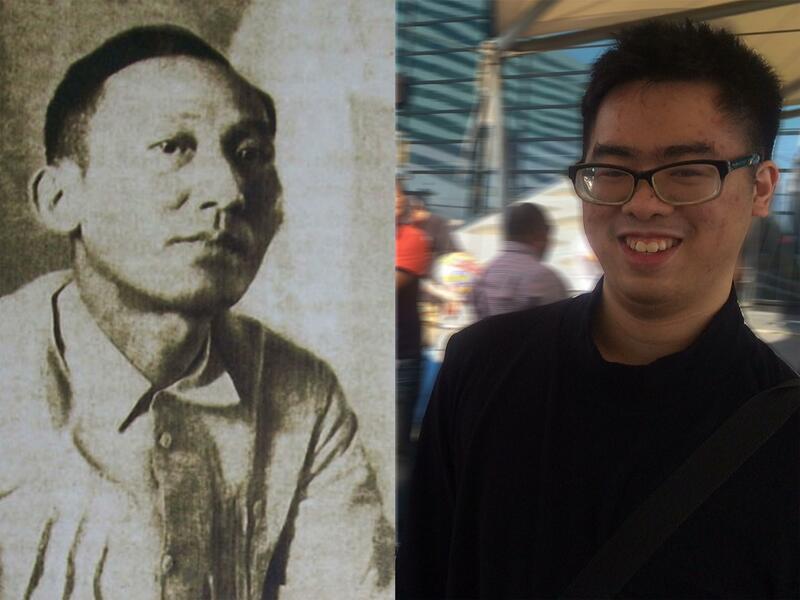 Apolinario Mabini and Patrick So both have achieved much inspite of their disabilities. Indeed, this is an interesting question to ponder on. As an individual with autism, I'd say that if I had the chance to talk to Apolinario Mabini during the time of the revolution, I would have asked him to tell me the story of how he overcame his disability to become the brains of the Republic. I would have learned how he coped despite having been crippled due to the polio he contracted. Just like I consider myself an advocate for autism, I would think that he would have also been someone who would be an advocate in the fight against polio. If he were alive today however, given that polio has been eradicated from the country, he would have probably ended up being a spokesperson on overcoming disabilities in general. He would have given speeches about his various challenges that he faced such as managing the Philippine Republic’s affairs while having to use a wheelchair. He would inspire PWDs to push on and not to give up. Come to think of it, even able-bodied people would be inspired with him, as the lessons of PWDs can be applied to those who seek to overcome the many challenges that life has to offer. Alternatively, it would be fun to think that he might have established a foundation that would raise awareness for rare diseases and would have contributed to addressing the needs of such victims. If Franklin Roosevelt was able to contribute that in the USA, then why not Mabini? One thing we must remember about Mabini is that he died at the young age of 38 due to cholera. What might he have done beyond that age, in an era of freedom for the Filipinos is something left to our imagination. Finally and most importantly, had he survived to see the third Philippine Republic or even the Commonwealth, I see that he would have been active on the front lines of legislation - writing laws that would be pro-poor and would root out anyone trying to exploit loopholes. Given today's context, I see him making an effort in fighting corruption - just like he defended the country's freedom against abuses by our colonizers, I see him fighting for equality even when the exploitation would be coming from his own countrymen. Generally, I consider Mabini to be a man of all seasons; even though he was in a really hostile environment (Americans who refused to recognize the First Philippine Republic’s independence, paralytic polio and even dissidents, among the ranks), he was able to achieve beyond his expectations. If he could do it, then why couldn’t we follow in his footsteps? It’s about time for the youth to learn from him and achieve more than he could.